SMSC helping companies to achieve certification in a timely effective way. Specialists in PEFC chain of custody. 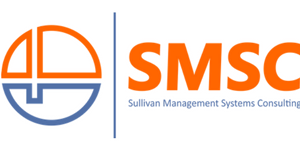 SMSC can provide and implement a bespoke QMS, specifically designed for your company’s needs. Struggling to complete internal audits or don’t have a trained auditor independent of the Quality Management System. Struggling to complete supplier audits, look at out-sourcing your supplier audits to a independent consultant. Is your present QMS outdated? Does it need revamping? Then SMSC can provide the help you need. SMSC can also provide advice on PS9001 Pharmaceutical Code of Practice and ISO 27001 ISMS (Information Security Management Systems). Continually support your Quality management system. Continually looking at Business Improvements. The packages we offer can be tailored to suit your business needs. We also offer packages for Multisite certification and Group schemes for small business wishing to achieve FSC & PEFC chain of Custody certification.